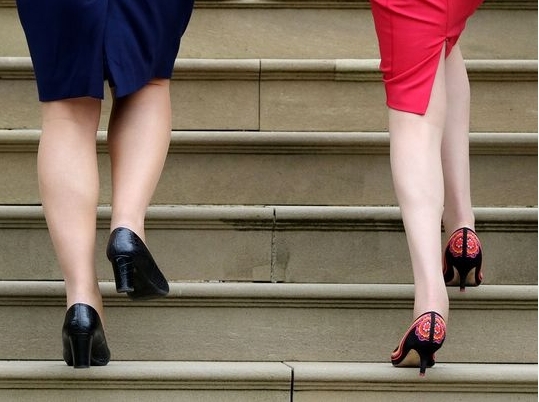 Theresa May should “finally set an example we can be proud of” and wear flat shoes instead of her trademark kitten heels to this year’s Conservative Party conference and beyond, according to the leaders of a trade union campaign. Nearly 150,000 people have since signed a petition calling for a government inquiry and a debate in Parliament on the camTheresa May should “finally set an example we can be proud of” and wear flat shoes instead of her trademark kitten heels to this year’s Conservative Party conference and beyond, according to the leaders of a trade union campaign. My Note: This is ridiculous and any other words you would like to use to note the absurdity of this. She should be able to year whatever she likes at any time without being criticized. What she is wearing in tasteful and the shoe style has become her signature look. Women should have the right to close as well men. However when we choose, who has the right to demand different. I applaud her style! Maybe Hillary could meet with Ms. May's fashion consultant for a little makeover. 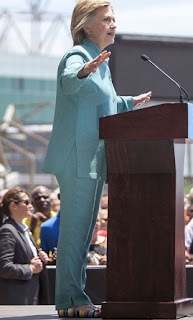 And while Clinton, for the most part, has opted for sensible flats (particularly on the grueling campaign trail), many of the leaders, as well as their supporters, have noted that it should be the individual’s choice, and no one else’s. 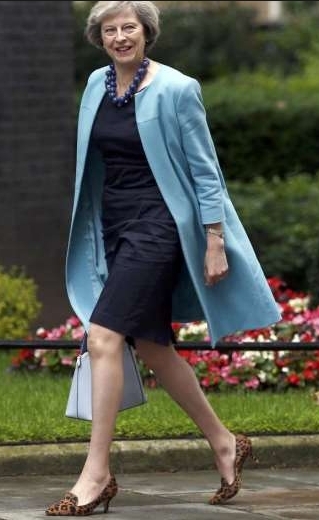 I do not recall anyone calling on former PM David Cameron to wear high heels nor were there any protests about his wearing simple oxfords or other flat heel shoes. Ms. May looks fine in her shoes and has every right to wear them. The protest by the so called aggrieved class is simply silly.